I am a great admirer of people with impeccable character and moral uprightness, or those who are at least striving to hone such qualities in themselves. Lawrence Kohlberg, well-known for his theory of moral development, postulated that only 25% of people ever reach the highest level of moral reasoning—Stage 6, in which the individual strives to uphold universal ethical principles that may supersede even society’s laws or his personal wishes. I do think that currently, there is a serious shortage of admirable moral fiber and depth of thought in humanity, but I believe I have no business further discussing that. I do not want to sound self-righteous. I cannot and do not claim to be morally superior to or of better character than any other. Instead, I want to reflect on the words and thoughts of those whom I believe have reached exceptional ideals of character and moral quality. As Kohlberg suggested, we can advance in moral development by getting exposed to higher levels of moral reasoning. The first and probably the most common way we are exposed to higher-level moral reasoning is by discussing the moral dilemmas we encounter with a parent or another discerning adult. Another way, which I believe is currently underutilized, is by reading the written works of the greatest thinkers and the most honorable people who ever walked this Earth. Leo Tolstoy, who spent 17 years compiling “a wise thought for every day of the year, from the greatest philosophers of all times and all people” later published in his book Thoughts of Wise Men (1904), gathered his gems of wisdom from Epictetus, Socrates, Marcus Aurelius, Lao-Tzu, Buddha, Pascal, and The New Testament, to name a few. In this post, I want to put up a mini-compilation of wise words on “the Good Way of Life” as well, although only from one particular personality I highly admire in quality of character, ideal of living, and pureness of thought—Marcus Aurelius. 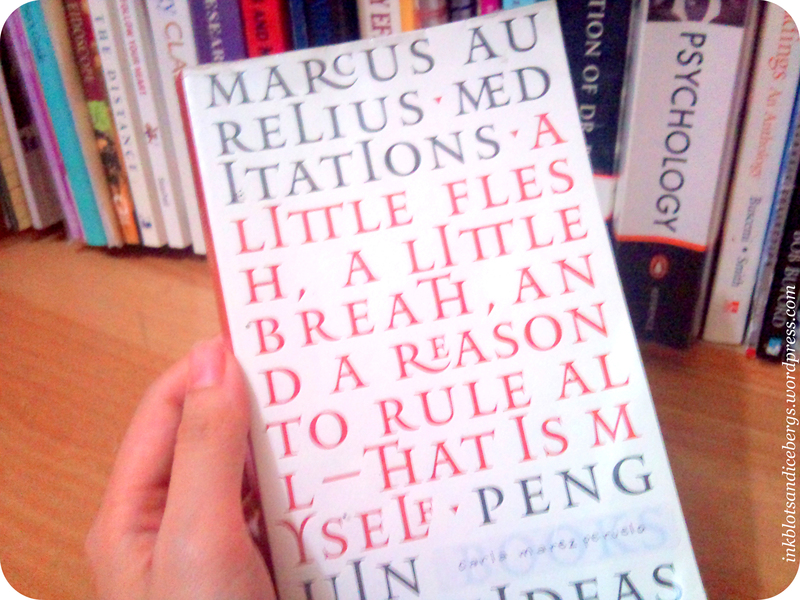 One of the main themes of Aurelius’ writings is the master-reason, the ruling aspect of oneself that “can not only make itself what it will, but also impose the aspect of its choice on anything which it experiences.” To be overly simplistic about it, it’s kindof the ultimate “mind over matter” philosophy, advocating the development of self-control and reason to overcome destructive emotions and be free of passions (i.e. intuitive, passive reactions to external events). Aurelius had a lot to say about how to deal with others, especially those whom we might consider difficult to deal with. What impresses me most is how he emphasizes the need to think kindly of others, even when they have offended us in some way. He advocated understanding the underlying motivations of men for acting the way they did, and brilliantly discussed the uselessness of indignation at others’ faults. One of the qualities I find most admirable in Aurelius is how he despises a hankering for praise and recognition. Having been Emperor, certainly he must have received much praise and distinction in his lifetime and it would’ve been easier to be full of himself. But in his Meditations, he made sure to remind himself how he should not act self-important, how empty praise is, and “how puny the arena of human fame” is. Aurelius believed in the order of the universe, in the existence of a higher, directing Power, and of things happening exactly as they should (so there’s no need to pull our hair out when things aren’t going our way). “Waste no more time arguing what a good man should be. This entry was posted in Inspiration/Motivation and tagged Character, Life, Life lessons, Living well, Love/Relationships, Morality, Personal development, Philosophy, Quotes, Stoic philosophy, Stoicism, Willpower, Wisdom. Bookmark the permalink. Wanna let me bother you via email every time a new post is up? If so, enter your email address below. Social Media Shaming: Go or No?